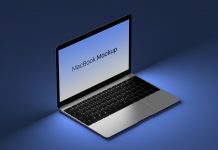 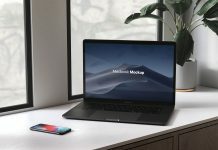 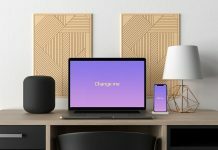 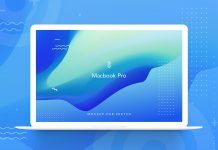 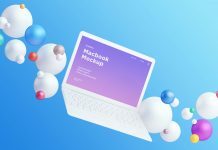 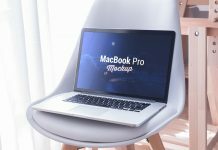 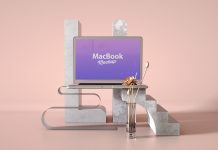 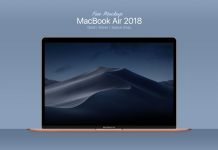 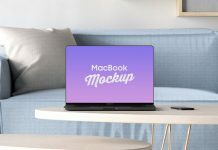 A simple yet elegant white Apple Macbook mockup psd to showcase website design, web templates, themes, software previews or any content for presentation. 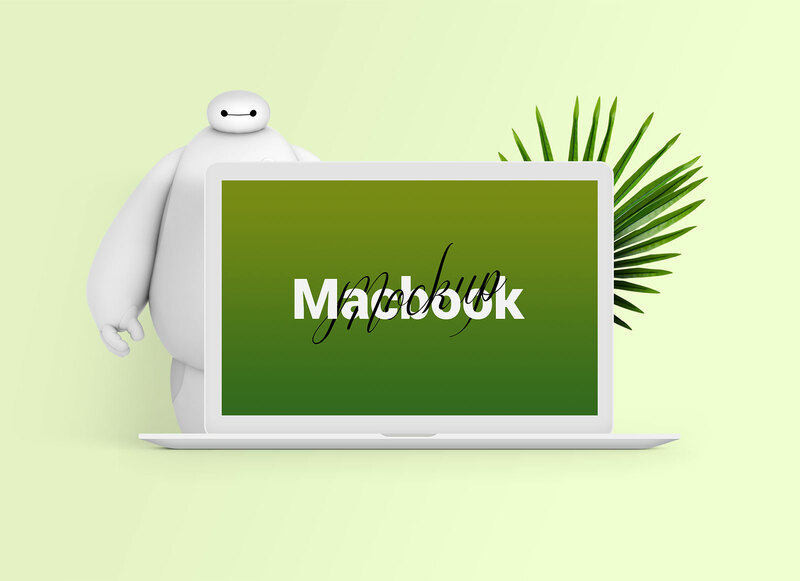 PSD file has leaf and baymax on the backside of the Macbook making the composition appealing yet interesting, you can remove them both by hiding their layers. 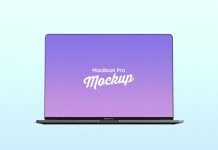 Apply color to background or use any custom texture of your choice.